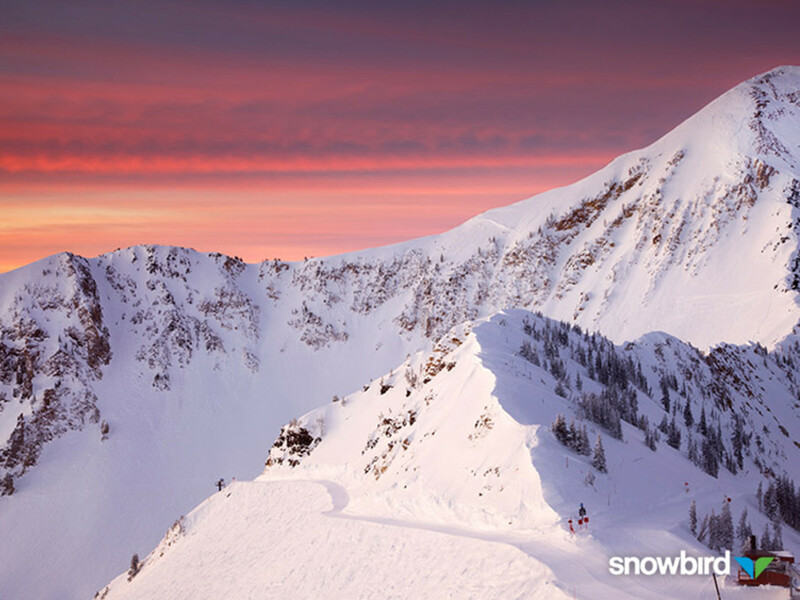 Snowbird is an elegant, exciting resort in Little Cottonwood Canyon that offers something for everyone, all year round. Snowbird is a year-round ski and summer resort located up Little Cottonwood Canyon in the heart of the Wasatch Mountains. Snowbird shares the canyon with the Alta Ski area, and skiers can buy joint day passes, allowing for full access to the terrain of both mountains. With 26 ski lifts and tows, and 4,700 skiable acres, this is truly some of the best skiing in North America. Both areas receive more than 500 inches of snowfall per year, due to the lake effect from the Great Salt Lake, and Alta and Snowbird are second only to the Cascades in annual snowfall for the continental US. The main difference between the Cascades and Snowbird and Alta though, lie in the quality of the snow. The Great Basin conditions here make for deep, light, dry powder. For advanced skiers, the terrain and the snow quality are generally better than anywhere in the country when you combine the two. There's a lot of vertical terrain to be skied, and it's not a place that you ever get bored—there’s always something new or different to try. Snowbird also offers sidecountry skiing and classes—take a lift up and ski an uncharted course back down. A heads-up for newcomers: Snowbird’s ratings are a little low. Their green runs would be blues at other resorts, their blues would be other resorts’ blacks, and so on. In addition to skiing, Snowbird offers mountain classes, snowmobiling, snowshoeing, Aerial Tram rides, and night skiing. Or play in the terrain park, perfecting your jumps and rails. And for those that like the snowy environment, but don't care to ski or even venture outdoors, there's Snowbird's Cliff Spa. Get pampered, practice yoga, or lift weights while taking in the beautiful scenery without experiencing the cold. They have children’s care, a nursery, and in-room babysitting for guests. And throughout the year, Snowbird hosts a full calendar of amateur and professional events for you to watch. The resort is open for mountain bikers and hikers in the milder months. If you’re in the area around September, stop by for Snowbird’s wonderful Oktoberfest—a celebration of food, beer, and cheap gear. And if you’re staying at Snowbird, be prepared to face an overwhelming number of choices when it comes time to eat. Snowbird offers terrain for all ability levels, but advanced skiers will get the most out of a day at the ‘Bird. Parking at Snowbird is free and plentiful. Chairlifts run daily from 9am to 4pm.